The most common cause of occlusive mesenteric artery disease is ostial atherosclerosis. Non-atherosclerotic causes account for 5–10 % of all cases of chronic mesenteric ischemia (CMI). 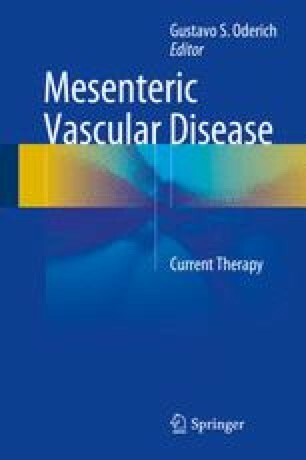 The vasculitides consist in a varied group of conditions characterized by an inflammatory response of vessel wall, with or without associated necrosis and granulomas, affecting 20 individuals per million a year. These diseases have different etiologies and pathogenic mechanisms, albeit most of them are not completely understood. Chronic inflammation can weaken the media and thin the arterial wall leading to aneurysm, or it can cause thickening of the arterial wall, resulting in stenosis and occlusions.